Original paintings tell a much different story than just a photograph. The important is preserved and the extraneous omitted. You have looked around on the site here, or perhaps seen my work elsewhere, so you have an idea of my style and abilities. 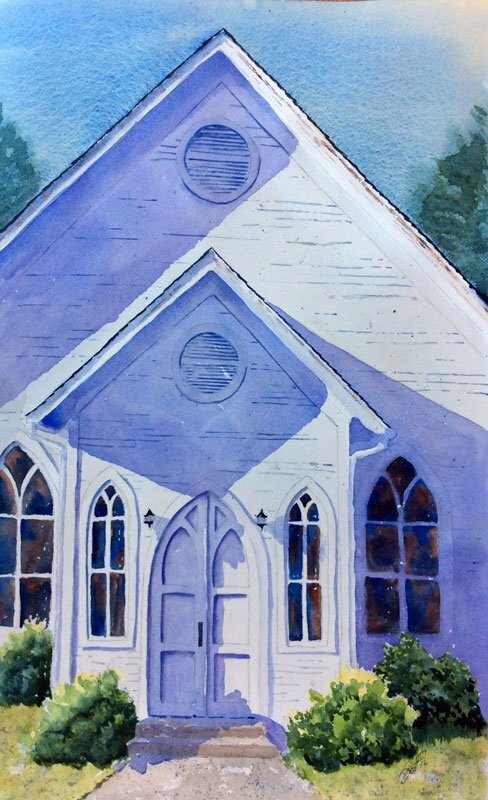 If you are reading this page, it is likely a sign that my style resonates with you or someone you know, and that perhaps you would like your own custom painting. 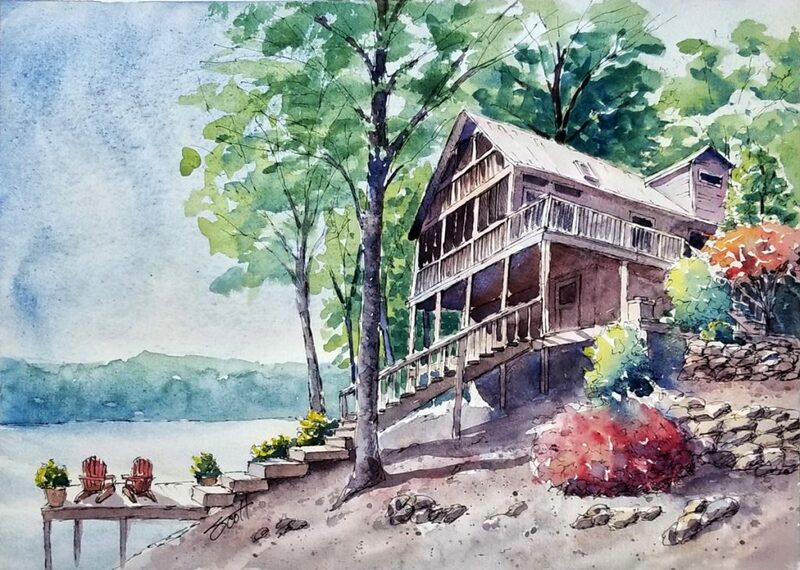 It is simple and inexpensive to get an original watercolor painting for yourself or as a gift for a friend, boss, client, or someone special. Art is a very personal thing, and those things, scenes, and stuff that interest me, may not interest you. I am not a portrait artist, nor am I a realist. If those styles interest you, then perhaps you would be better suited with another artist. As you have seen, I tend towards a looser and somewhat illustrative style, so think about that thing you love and imagine it as one of my watercolors. If you like what you see in your mind’s eye, then one of my original watercolor just might be for you. I offer original, unframed, commissioned paintings, using artist pigments and archival inks on high-quality cotton rag 300gsm watercolor paper, in multiple sizes, priced accordingly. More complex paintings, may be a little more expensive. These prices include shipping (rolled in a shipping tube) to addresses in the continental United States (CONUS). Shipping to areas outside CONUS will be at cost, and must include insurance at the value of the commission. Custom sizes are available and come with a custom price we will determine beforehand. Note that some pieces may have a 1/2″ border around the painting due to the method the paper is attached to the work surface. Fill out the commission form on this page. Tell me a little about what you like and what size painting you prefer. Most importantly, tell me a little about your chosen subject, why you chose it, and what it means to you. You will receive an email response that will tell you where to send your reference photos. Send me at least two and upwards of 6 photos. Assuming that I am comfortable with the subject and style, we will work together to find the best composition for your painting. Once we have agreed on composition, size, and style, I will send you a formal statement of the commission. If you accept the commission statement, I will produce the painting. When completed, I will email you with watermarked proofs. If the painting meets your expectations, then simply pay the agreed upon amount. If you don’t feel you have received value for your money, then the painting is mine and you owe nothing. Once I have received your payment in full, your signed watercolor painting will be loosely rolled in a heavy-duty shipping carton, and shipped to your door. When your painting arrives, gently remove the painting from the carton and allow it to unfurl for 24-hours. Then, laying in face down on a clean, flat surface, stack heavy books on it for and additional 24-hours. If you would prefer not to flatten the painting yourself, at an additional cost, your painting can be matted, mounted, and shrink-wrapped, or a combination thereof, and shipped to you flat. Any additional shipping shipping, labor, and material costs will be included in the statement of commission. I will be my distinct pleasure to create a special work of art for you or someone that you care enough about to make the investment.